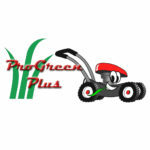 ProGreen Plus Small Engine Repair Receives 2012 Best of Knoxville Award - ProGreen Plus | Knoxville, TN | Lawn Mower Parts | Riding Lawn Mower Parts | ServiceProGreen Plus | Knoxville, TN | Lawn Mower Parts | Riding Lawn Mower Parts | Service | We've Got Your GRASS Covered! LOS ANGELES, CA, July 18, 2012 — ProGreen Plus Small Engine Repair has been selected for the 2012 Best of Knoxville Award in the Handyman Service Contractors category by the Knoxville Award Program. Various sources of information were gathered and analyzed to choose the winners in each category. The 2012 Knoxville Award Program focuses on quality, not quantity. Winners are determined based on the information gathered both internally by the Knoxville Award Program and data provided by third parties.